On the 28th (Thu), take an unorthodox tour of Wananalua Congregational Church. To see photos, more things to do, and more tourist information, you can read our Hana trip planner . Seattle to Hana is an approximately 9.5-hour combination of flight and car. You can also fly; or do a combination of shuttle, flight, and car. The time zone changes from Pacific Standard Time to Hawaii Standard Time, which is usually a -2 hour difference. In November, Hana is much warmer than Seattle - with highs of 84°F and lows of 68°F. 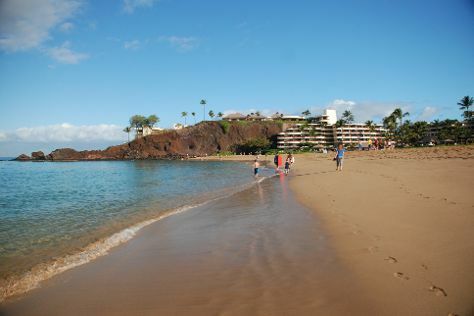 Finish up your sightseeing early on the 29th (Fri) so you can go by car to Lahaina. Maria Lanakila Catholic Church and Saint Theresa Roman Catholic Church will appeal to history buffs. Satisfy your inner culture vulture at Lahaina Front Street and Calvary Chapel Westside. Explore the numerous day-trip ideas around Lahaina: Hui No‘eau Visual Arts Center (in Makawao) and Kihei Baptist Chapel (in Kihei). There's lots more to do: stroll through Ka'anapali Beach, take a memorable tour with Tours, delve into the distant past at Pi'lanihale Heiau, and kick your exploration up a notch at some of the top local zipline courses and adventure parks. To find photos, ratings, reviews, and tourist information, use the Lahaina road trip planning app . Drive from Hana to Lahaina in 2.5 hours. Alternatively, you can do a combination of car and bus; or do a combination of flight and bus. Expect a daytime high around 81°F in November, and nighttime lows around 71°F. You'll have a few hours on the 4th (Wed) to wrap things up before traveling home.